FACT CHECK: Trump Ghostwriter Meredith McIver Doesn't Exist? Trump Ghostwriter Meredith McIver Doesn’t Exist? When Donald Trump campaign ghostwriter Meredith McIver emerged to take the fall for Melania Trump's purported plagiarism, some onlookers questioned her existence. Donald Trump's campaign invented a fictional speechwriter named Meredith McIver to take the heat after Melania Trump was criticized for purportedly plagiarizing Michelle Obama's 2008 convention speech. I have heard that people are claiming Melania Trump's speech writer, Meredith McIver does not exist as she does not have a verified Twitter page or Linked in profile. What's worse? That Meredith McIver might not exist or that it took his campaign roughly 36 hours to come up with this strategy? Both? Facebook post this morning indicates that possibly Trump speechwriter McIver is actually not a living person, but a bogus persona created by the Trump organization to release a fake "apology" letter. So there's a chance that McIver, the staffer who apparently took the blame, doesn't even exist. Like the PR guy that Trump pretended to be. were spun into a frenzy upon immediately noticing that portions of Melania’s convention address appeared to have been lifted from Michelle Obama‘s 2008 convention speech. McIver’s Facebook page is only a day old as well and she has no friends. One would hope that as a “long-time employee” she would have made at least a few friends in the Trump organization. 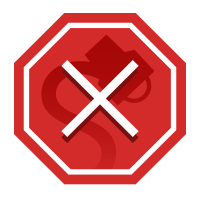 McIver has a page at Speakerpedia, but strangely there are only two reviews, both of which came over the past two days. And the page has yet to be claimed by Ms. McIver. McIver does have an author page on Amazon.com, but there’s no photo, or any writing credits outside of work done for Trump. Her Twitter identity is a little shaky as well. Time being money, Trump springs up to hand me some propaganda: glossy brochures featuring Trump Towers, Trump Palaces, Trump Plazas, Trump Hotels and Trump Golf Clubs all over North America — correction, the World. Thus, at the end of “Think Like a Billionaire,” after Trump has thanked all the pertinent people, McIver thanks her family, her friends, her minions, the Trump Organization and even Tassos of Patmos. If we have reached the point in our history where ghostwriters find it necessary to thank Tassos of Patmos for his contribution to the making of “Think Like a Billionaire,” I shudder to think what is coming next. Whoever Tassos of Patmos is. 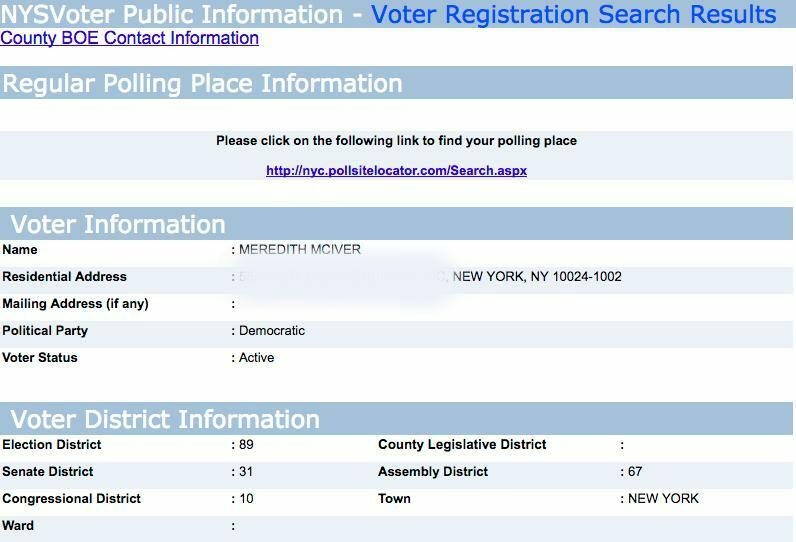 Furthermore, Meredith McIver is registered to vote in New York City (but presumably didn’t cast a ballot in the state’s closed primary for her boss, given that she is registered as a Democrat). While Meredith McIver may have maintained a low profile throughout her years in Trump’s employ, she has been spotted by at least one journalist and maintains an active voter registrant. The sudden spotlight shined upon her made her convenient appearance suspicious, but the evidence suggests McIver has been kicking around Trump Tower for quite some time. The Guardian. 7 January 2007.